Adapts waveguide transmission lines to coaxial. 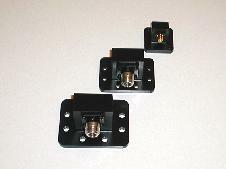 Suncoast Microwave offers various sizes of waveguide to coaxial adapters. These adapters cover the frequency spectrum from WR430 (1.70-2.60 GHz) to WR28 (26.5-40.0 GHz). The adapters come with various connector styles including; sma, type "n" and "k" type. 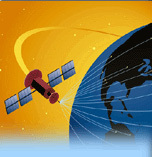 Most sizes are tuned to a standard maximum vswr of 1.25:1, and better vswr performance can be achieved over a reduced bandwidth. several types of waveguide to waveguide transitions. These are used for overlapping frequency bands, and changing the size of the waveguide.